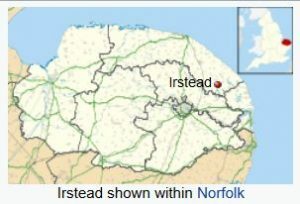 1) (Irstead, co. Norfolk). Gu. three lions ramp. ppr. on an escutcheon of pretence erm. on a bend az. three escallops ar. within a bordure or. Crest—A lion ramp. ppr. holding a bezant. 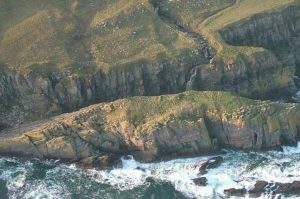 2) (Sutherland). Ar. a galley of three masts, her sails furled and oars in action sa. flags gu. within a bordure az. on a chief of the third a bear’s head of the first, muzzled of the second betw. two mullets of the field. Crest—A dexter hand wielding a sword ppr. Motto—Aut pax aut bellum. 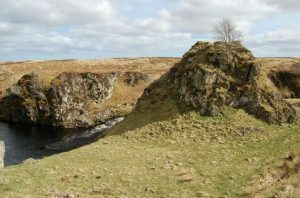 3) (co. Caithness). Ar. a ship under sail in a sea in base all ppr. on a chief gu. three mullets of the field. This is a baptismal surname meaning “the son of Gawen”. It derives from the word gun or the Welsh word gwaen, which is a plain, a down, or a common. The variant Gunson is popular in the Furness district of North Lancashire, and Gawen was a font-name there until recently. Another author notes it comes from the Old German personal names Gundebert, Gundbald and Gundric, and derives from the Old German word gun (a man). Another author believes it comes from the old female German personal names Adelgunda, Cunigunda, Gundaberga, and Fredegunda. In Scotland, it is an anglicized form of the Gaelic name MacGille Dhuinn, meaning “the son of the servant of the brown one”. The came to the coasts of Scotland and Orkney, brought there by Viking or the Old Norse during the Medieval period. It derives from a person name Gunni, who was a descendant of the King Einar of Uppsale in Sweden. Gunni attacked King Malcolm IV of Scotland in 1160 AD at Perth. Another source believes it derives from the weapon stating “The names derived from parts of armour, as Helme, Shield, Greaves, Swords, Buckler, Gauntlett, Gunn, Muskett, Brownbill, Brownsword, Shotbolt, and Broadspear, were also, in all probability, signs of inns kept by those who first bore them.” It could be an occupational name given to a person who operated a cannon or siege engine, or a name given to a forceful person, from the Middle English word gunne or gonne. In his book “An Etymological Dictionary of Family Christian Names”, William Arthur, states “Lower also tells us of a German named Feuerstein (fire-stone the German for flint) who settled in the West when the French population prevailed in that quarter. 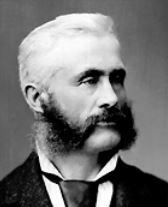 His name, therefore, was changed into French Pierre d Fusil, but in the course of time, the Anglo-American race became the prevalent one, and Pierre a Fusil was again changed into Peter Gun”. Other spellings include Goon, Gunson, Gunns, Gunnis, and Gun. Foreign equivalents include Gunnarr (Norse), Gunner (Swedish), and Guns (Flemish). The earliest recorded person with this last name was William Gun, who was documented in the Assize Rolls of Lancashire in 1218 AD.The name is found in the Domesday Book of 1086 AD as Gunnr, Gunse, and Gunnine. The Hundred Rolls of 1273 AD, a census of Wales and England, known in Latin as Rotuli Hundredorum, documents Matilda filius Gunne in county Cambridge, William Gunne in county Suffolk, and Nicholas Gunne is county Huntingdonshire. A Bathromlomew Gunson is recorded in the Register of the University of Oxford in 1514. A Robert Gunson of Haverthwaite is recorded in 1575 in the Lancashire Wills. In the History of Norfolk, a one Roger Gunson, vicar of Fincham, was recorded in 1587. A James Gunson was listed in the same in the same source, of Tatham, in 1595. Marriages involving this surname include Richard Gunn to Joane Benson in 1627 at St. Margaret’s Westminster and Alexander Gunnt to Margery Hooper in 1665 at St. Mary Magdale. Bernard Burke’s book “The Landed Gentry” discusses one branch of this family: Gun of Rattoo. 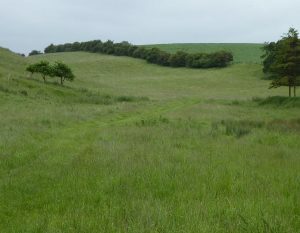 He traces the lineage from Caithness, N.B. 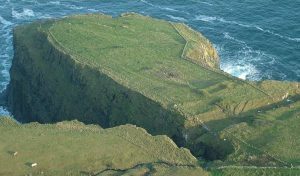 William Gun, of Lislahan Castle, in 1641 AD. He had two sons named William and George. In 1694, the son William Gun married Catherine Townsend and had three daughters with her and two sons: Rebecca, Sarah, Catharine, Francis, and Townsend. Townsend Gun was the eldest son and he married Elizabeth, the daughter of Conway Blenerhasset of Castle Conway, and with her had one daughter named Elizabeth and an only son named William. This William first married Sarah Stoughton in 1765 and had issue with her: Townsend, Thomas, William, Elizabeth, Sarah, Frances, Penelope, and Catherine. He second married Eliza Kane and had issue with her: John, George, Cherry, and Charlotte. He died in 1812 and was succeeded by his heir Townsend. In 1803, Townsend Gun married Amelia, the eldest daughter of William Wilson, and with her had the following children: William Townsend (1808), Wilson, Catherine, Sarah, Jane, and Elizabeth. He passed away in 1817 and was succeeded by his son Wilson Gun of Rattoo in county Kerry who was High Sheriff there in 1846. He was born in 1809 and he married Gertrude Mariannae, the second daughter of Henry E. Allen, and with her had three issue: Emma Frances, Townsend George (1840), and Henry Allen (1842, a Captain of the Royal Engineers). A one George Gunn was born in 1590 in Braemore, Scotland to unknown parents. He had a son named Thomas Gun who was born in 1605 in Devon England. He had the following issue: Elizabeth Gun, Mehitable, John, and Elizabeth. He died in 1681 in Westfield, Hampden, Massachusetts. His son John, born in 1647, married Mary Williams in 1677 and had the following children with her: Thomas, John, Mary, Daniel, Mercy, and Aaron. He died in 1726. Jasper Gunn (previously spelled Goun) of Roxbury came to the New World aboard the Defence in 1635 at the age of 29 with his wife or sister Ann. He was a physician and removed to Milford in 1659. Before dying in 1670, he left one daughter named Mehitable Fenn and four sons: Johanna, Abel, Daniel, and Samuel. Thomas Gunn, of Dorchester, was a freeman in 1635 and he moved to Windsor and had the following issue: Elizabeth (1640, died young), Elizabeth (1640), Deborah (1642), Mehitable (1644), and John (1647). He moved to Westfield and died in 1681. Others early immigrants include: Joseph Gunn (Massachusetts 1636), Daniel Gunn (Boston 1651), James Gunn (Virginia 1715), and Patrick Gunn (New York in 1816). At the parish of St. George’s in Barbados, a one Henry Gunne, son of Daniel Gunne, was baptized in 1678 AD. Famous people bearing this surname include: 1) Battiscombe Gunn (1883-1950) who was an English Egyptologist, 2) Daniel Gunn (1774-1848) who was a Scottish minister, 3) Alexander Gunn (1828-1907) who was a Canadian politician.